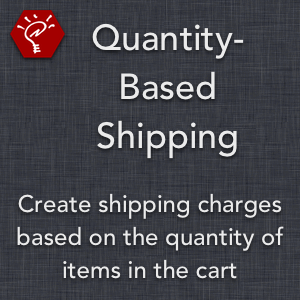 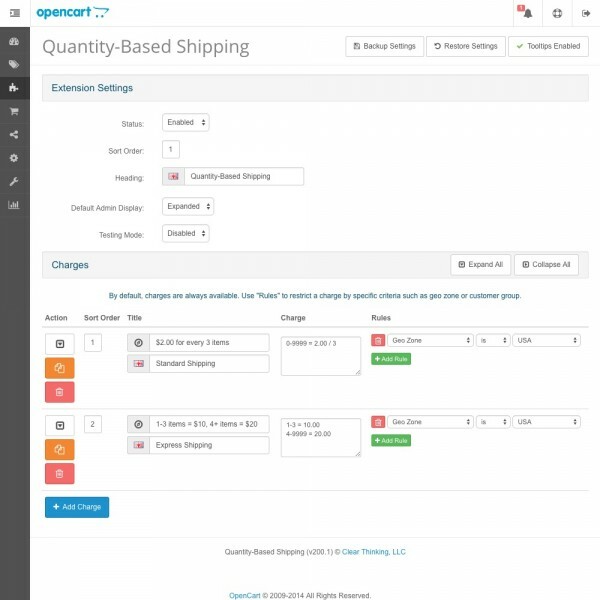 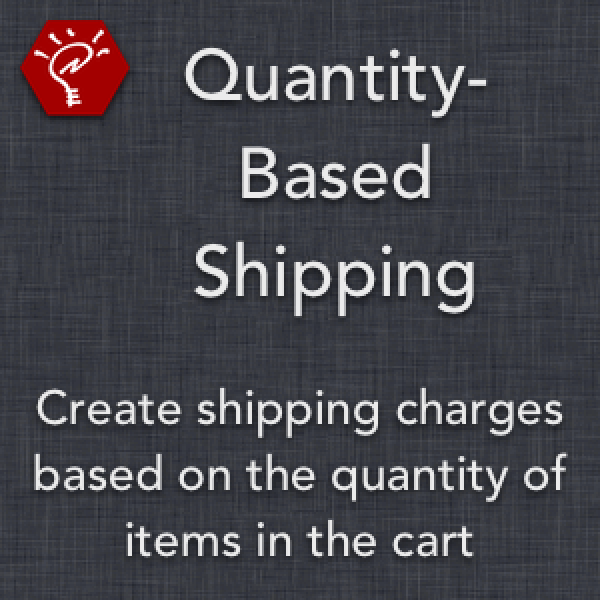 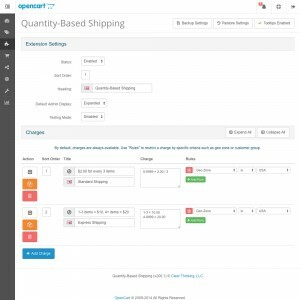 Create shipping charges based on the quantity of items in the cart! 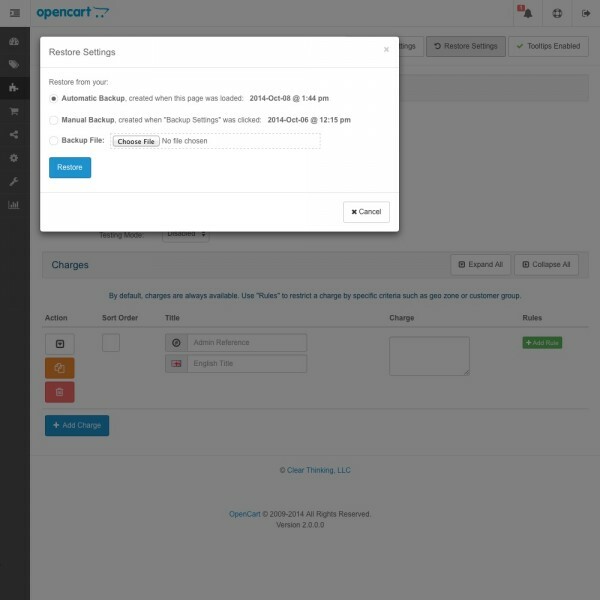 This extension uses an intuitive "rules" system to easily determine when your charges appear. 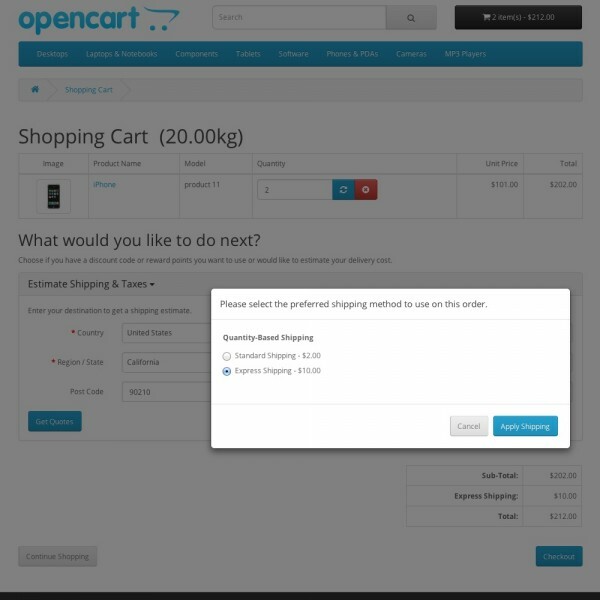 You can restrict charges based on currency, customer group, geo zone, languae, and store.